One of my new paper sculptures will be on exhibit with the Maryland Federation of Art at the Circle Gallery in Annapolis, Maryland. The show is part of the Maryland Federation of Art’s 50th anniversary celebration featuring the Federation’s finest artists. The exhibit started on July 25 and goes through August 18, 2013 with an artists’ reception on August 1. 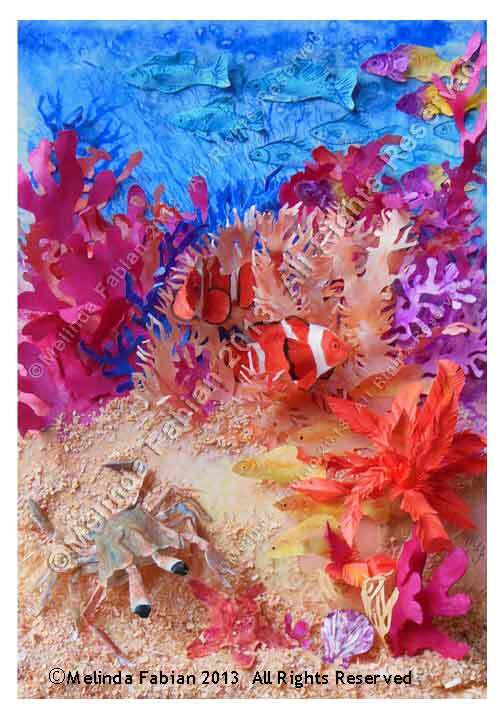 The show will feature my “Life on the Reef” sculpture including bright colorful clownfish among the coral reefs. 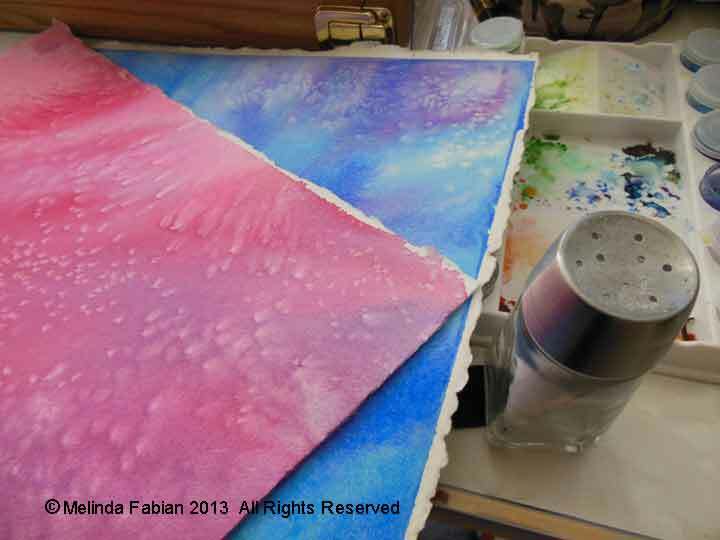 The backdrop is painted in watercolor and gouache with the fish, crab and coral sculpted from painted paper. Even the sand is made from paper! I will be attending the reception Thursday night and will post pictures from the event. If you happen to need something to do for a weekend activity, stop by the gallery and support Maryland artists. Otherwise, visit my blog next week and I’ll have posted some photos. I love getting new art materials for gifts! What artist doesn’t? One of my favorite gifts was this cute little travel sized paint set. It is the Cotman Winsor and Newton Watercolor Travel Set. This was the first travel watercolor set I ever had, which is hard to believe, since I’ve been painting my whole life. Well, since I was old enough to hold a brush in my hand, that is! I really like this cute little travel set.